The Liberation-sud resistance group was established by a group of French people including Emmanuel d'Astier, Lucie Aubrac and Raymond Aubrac. The first important French Resistance group to emerge after the German occupation, it began publishing Libération in July 1941. With the support of Daniel Mayer and the clandestine Socialist Party the Liberation-sud group grew rapidly. 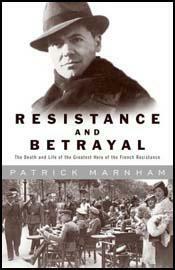 In 1942 Emmanuel d'Astier entered talks with Jean Moulin about the possibility of uniting all the resistance groups working in France. After much discussion Moulin persuaded the eight major resistance groups to form the Conseil National de la Resistance (CNR). This included D'Astier's Liberation-sud as well as Combat (Henry Frenay), Francs-Tireur (Jean-Pierre Lévy) (Francs-Tireur), National Front (Pierre Villon), Comité d'Action Socialiste (Pierre Brossolette) and Armée Secrete (Charles Delestraint). These three movements were born spontaneously and independently of the initiative of a few French patriots who had a place in the old political groups and parties. They started to assert themselves at different dates, soon after the conclusion of the armistice, however, and as a reaction against this instrument of submission to the enemy. In the beginning, their activities consisted in spreading by underground channels and in a rather restricted sphere typewritten propaganda pamphlets on every important occasion (speech of Mr. Churchill, of President Roosevelt, speeches of General de Gaulle, outstanding military operations, etc. ), or else on every occasion which called for a rebellious attitude on the part of French patriots (annexation by Hitler of Alsace and Lorraine, violation of the clauses of the Armistice, the agreements concluded at Montoire, requisitioning by the Germans, etc.). Next, with the development of material means and the increased adherence of willing partisans, they were able to publish real roneoed papers at tolerably regular intervals. Now, for several months, each group has been publishing at a fixed date one or several printed papers in addition to pamphlets and leaflets. Liberation, the organ of the movement Liberation, is more particularly aimed at working-class circles. A large section is devoted to social problems, and its leaders are at present in contact with a certain person, who has maintained a very great influence on syndicalist circles.